I would love to win a copy. It sounds great. Thank you. Nice excerpt. Please enter me. Glad you got to publish the third book. Sounds like a great one. Put my name in for the drawing. I would love to win a copy. Have a merry Christmas! Thanks for the tease (ahem - no pun intended) Nancy! Can't wait to read the whole book! Merry Christmas! Would love to win a new book for Christmas! 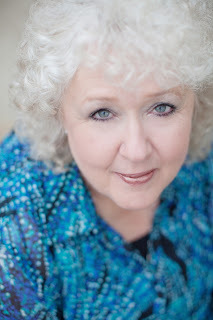 I like cozy mysteries. This sounds like a good one. 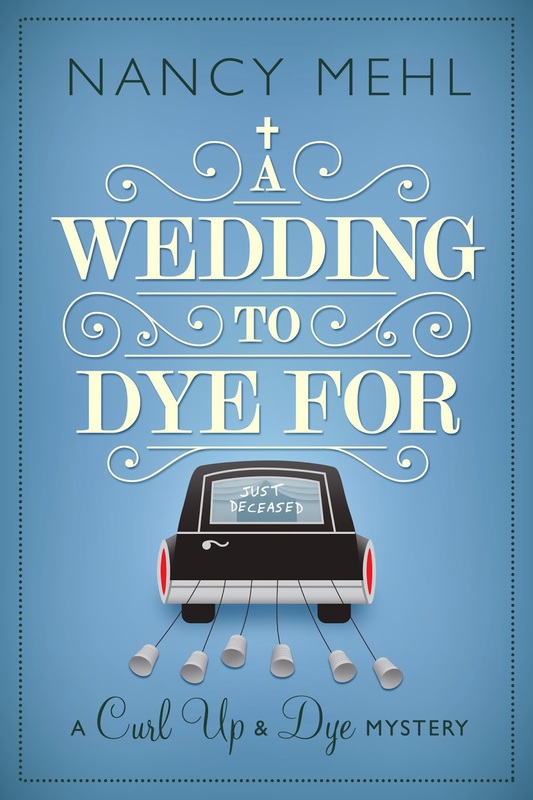 Thank you so much for sharing the first chapter of A WEDDING TO DYE FOR! I would love to keep reading!! Thank you for the opportunity to win a copy. I don't do e-books because I don't own a computer or e-reader. I'd like to read a paper copy, though. I would love a copy! I have read the other two in the series, and I can't find the last one anywhere! Not Amazon or Barns and Noble, or the other used book places. Not even my library has it! Thanks for the opportunity to win it. I'm in the same situation as Alice above. I've read the first two books in the "Curl Up and Dye" series and cannot find the 3rd book anywhere online. 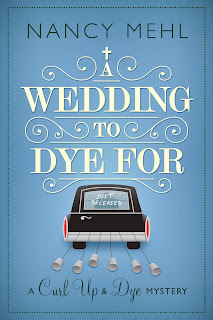 Can someone tell me where I can buy "A Wedding to Dye For" in print or as an e-book? Thanks!